Connected Energy, a leading provider of advanced demand management and distributed energy resource management solutions for electric utilities, has announced the immediate availability of the next generation of CNRG at the 38th PLMA Conference. This upgrade is utility-hardened, having been released incrementally to current utility customers over the last 9 months. 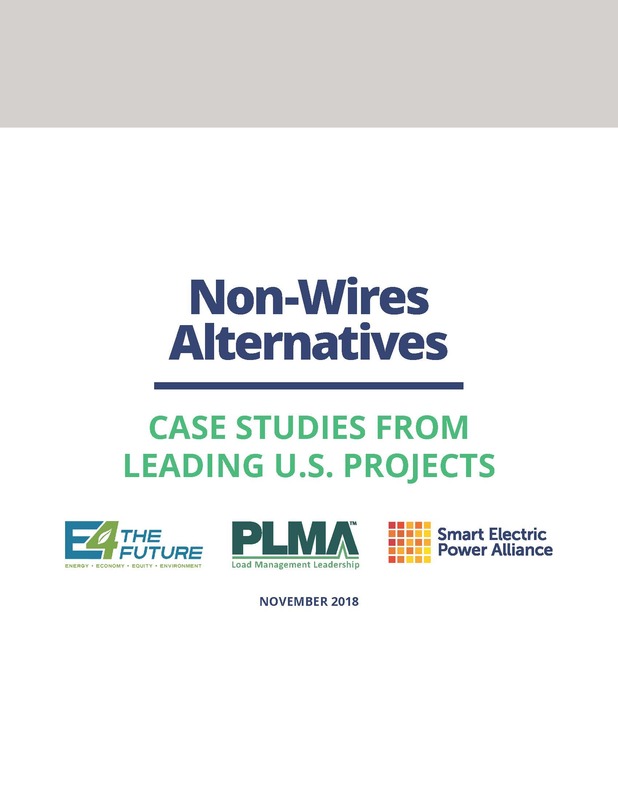 “This release is the culmination of cooperation and testing with utilities, industry consortiums, and Connected Energy engineering. We’ve had the privilege to work with this incredible team to add features that drive real value for utilities.” says Connected Energy CEO, Mark Rupnik. "We are pleased to have the 38th PLMA conference be the venue for this announcement. Connected Energy has a strong commitment supporting PLMA and load management practitioners”, commented Ed Thomas, Executive Director, PLMA. "Connected Energy’s CNRG software has gone through the certification program and is OpenADR 2.0b compliant. The CNRG software has been added to the certified product directory featured on the OpenADR website,” said Rolf Bienert, Managing & Technical Director, OpenADR. "To go along with this important release, we have published a DER Connectivity Technology whitepaper that will aid utilities in navigating the various standards and options for connecting DER assets,” announced Terry Rohrer, SVP, Marketing and Technology, Connected Energy. The paper is available for download at www.connectedenergy.com. PLMA. PLMA was founded in 1999 as the voice of load management response practitioners. It is a community of experts and practitioners dedicated to sharing knowledge and providing resources to promote inclusiveness in the design, delivery, technology, and management of solutions addressing energy and natural resource integration. More information available is at www.peakload.org . OpenADR. The OpenADR Alliance fosters the development, adoption, and compliance of the Open Automated Demand Response (OpenADR) standard through collaboration, education, training, testing, and certification. The OpenADR Alliance is open to all interested stakeholders interested in accelerating the adoption of the OpenADR standard for price- and reliability-based demand response. More information is available at www.openadr.org. Sandia National Labs. Sandia National Labs has research and development responsibilities in nuclear deterrence, global security, defense, energy technologies and economic competitiveness, with main facilities in Albuquerque, New Mexico, and Livermore, California. More information is at www.sandia.gov. Connected Energy. Connected Energy is a member of SunSpec, PLMA, and OpenADR and is a leading provider of next generation demand management, DER management, grid management and data analytics solutions for electric utilities. Visit www.connectedenergy.com for more information. Navigant Publishes "Bring Your Own Device DSM Programs for Utilities and Retail Energy Suppliers"
This Navigant Research report examines the global Bring Your Own Device market, with a focus on smart thermostats, hot water heaters and appliances, energy storage, EVs, and EV supply equipment. The report explores the market issues related to BYOD devices, including drivers, barriers, and trends, to highlight regional activities and programs. Global market forecasts, segmented by device type and region, extend through 2027. The report also analyzes utility and non-utility BYOD business models and shares case studies of BYOD programs incorporating various technologies in North America. The objective of the business development organization is to identify and secure opportunities and grow our business relationship with commercial and industrial customers within the targeted areas through both direct sales and via specific channels (Engineering Firms, Construction, Supply, etc.). This role is responsible for managing the overall business relationship with existing customers in specific regions and developing new business relationships and driving top line and bottom line results. Client’s Retail Programs is focused on providing energy-related solutions to customers within Canada and the United States. A rapidly growing division of the company that requires the expertise and experience to lead the sales process for large capital energy projects and more specifically behind-the-meter generation projects. The person will manage stakeholder and customer sales and will lead cross-functional teams both internal and external to build sustainable and profitable projects. Lead a portfolio of project origination efforts with large commercial and industrial customers through to develop new generation projects by engaging existing and new customers directly or working with existing and new channels customers. Strong background in energy project development and retail power markets to facilitate a consultative relationship. Plan, control and direct the overall activities of the project efforts to achieve business objectives as they relate to revenue growth, margin, profitability and risk management. Work with internal and external operations to ensure adequate project planning is undertaken to ensure procurement and project scheduling meets both internal and external stakeholders. Lead stakeholder engagement with end customers, contractors, consultants, and other parties to maintain consistent communication and address issues in a collaborative fashion. Provide key performance indicator reports that appropriately measure the success factors of assigned projects, such as cost variance, delivery to schedule, customer engagement. Monitors and communicates project status to project team and management. Leadership - Establishes a clear confidence in the vision, inspiring that vision to others so they will follow willingly, providing decisive and knowledge in decision-making, optimistic and accountable for Operations Team performance. Issue Management - Maintains a cross-functional project topics list, with appropriate prioritization based on the issue's level of importance. Drives appropriate and timely resolution and approval of changes to the project plan. Scope Management - Solicits and organizes customer requirements and tracks the status of project deliverables. Manages the connections between multiple levels of scope detail in related additional documents. Schedule Management - Develops and maintains a cross-functional schedule. Proficient at one or more schedule management tools. Knows the right level of detail needed to use the tool effectively. Stakeholder Management and Communication - Identifies, engages and manages stakeholders on a project or groups of projects. Overcomes obstacles and resistance among stakeholders. Effectively stratifies stakeholder needs and creates and executes communications plans to fit the unique needs of each type of stakeholder. Cross-Functional Knowledge - Understands the more detailed hand-off between functional areas on a project and understands the detailed work of at least one functional area. Project Risk Management - Leads teams in the development of a project FMEA and/or 9-box project risk summary and identifies and manages the actions to mitigate the risk. Track record of proven origination/development experience and ability to drive results.